Today there are more devices than ever before that allow mariners to call for help when in distress, but how do they work, and which is the right one for you? 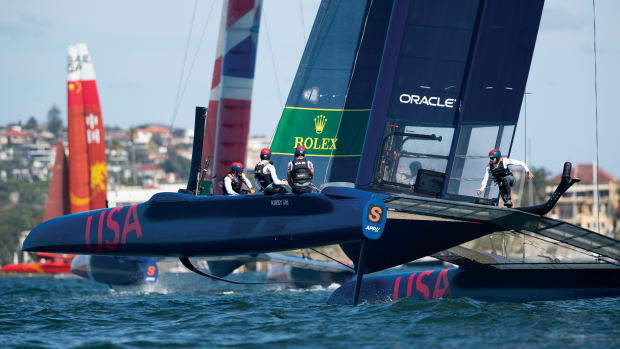 On March 30, 2014, the coordinates 179W were transmitted from Andrew Taylor’s AIS MOB device after he went overboard during the 2013-2014 Clipper Round the World Race. Taylor’s boat, the Derry-Londonderry-Doire, had been struck by a wave that swept the sailor overboard. 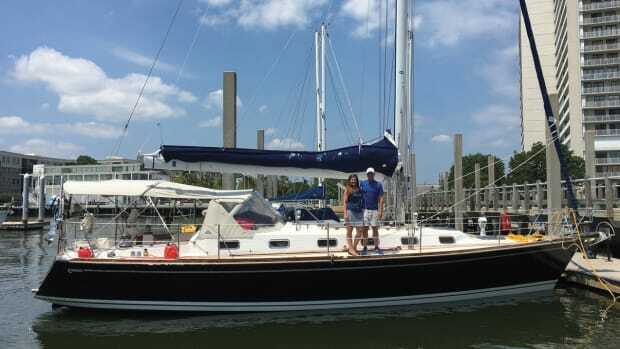 He was 2,000 miles offshore in the North Pacific and an hour away from any other vessel. But he happened to have his AIS MOB unit in his pocket, and that led his shipmates back to his location. An hour and a half later, he was back onboard. 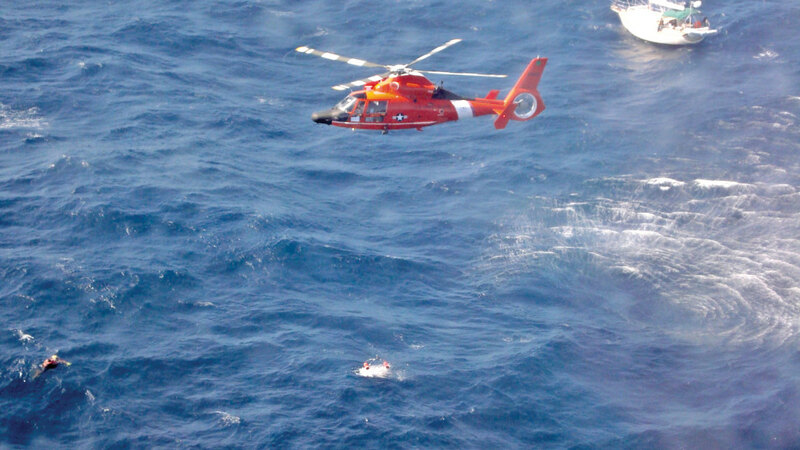 This is just one of hundreds of examples of sailors being saved by emergency devices. And it is a reminder that whether it is an EPIRB, PLB, SPOT signaling devices or an AIS MOB unit, every sailor who goes to sea should carry an emergency signaling device. There are several different types of signalling device, each designed for a specific purpose. 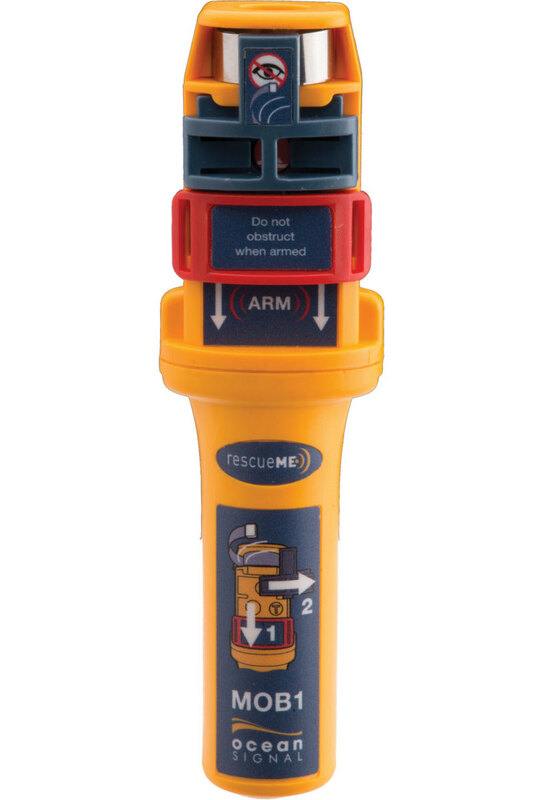 Most sailors are familiar with the Emergency Positon Indicator Radio Beacon, aka EPIRB. These are registered to your specific vessel, and when they are activated they transmit your vessel’s information to the series of satellites that make up the international Cospas-Sarsat system. From there the information is beamed down to a Local User Terminal, sent to a mission control center and then to a rescue coordination center (such as the Coast Guard). The rescuers receive the information about your boat, such as the size, type, etc., your GPS coordinates, and if you have provided an emergency contact number, they can alert your friends/family to your situation. EPIRBs are typically mounted to a fixed position onboard your boat and are activated either when they are submerged or manually if there is an emergency onboard. 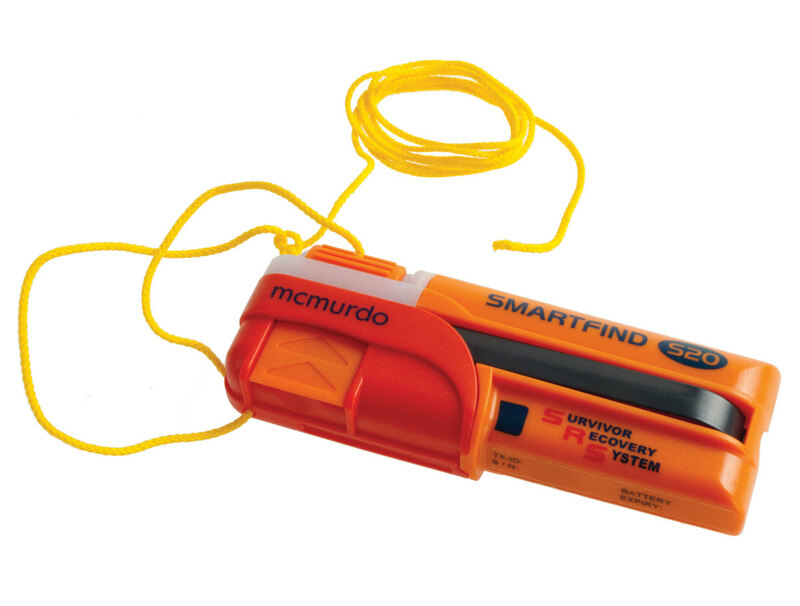 AIS MOB units like the McMurdo Smartfind S20 send out an emergency AIS signal to nearby shipping. 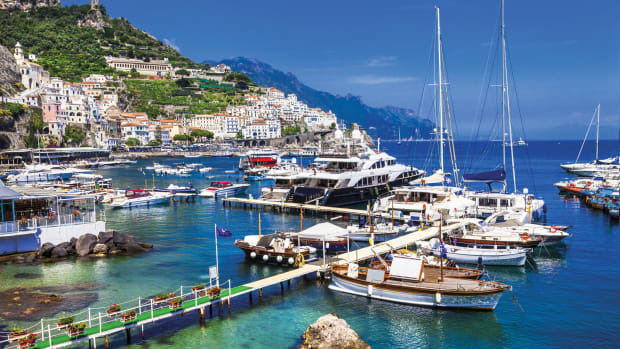 By contrast, AIS MOB devices, such as the MOB1 from Ocean Signal or the SmartFind series from McMurdo, are designed for the person, not the boat. 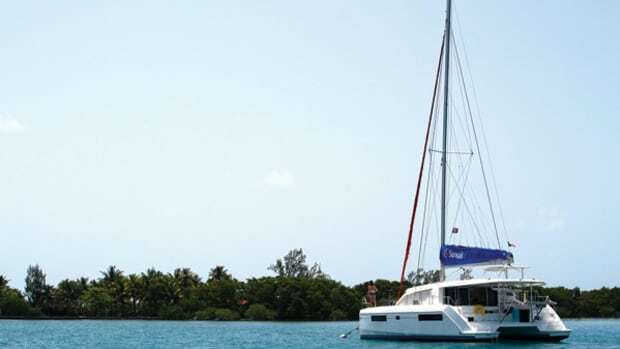 These devices transmit your location to the AIS receivers on the boats around you, and also send out a GPS signal to satellites to alert authorities to your position. “What we have found in the last few years is that the attitude has changed,” says Sean McCrystal, marine and military marketing manager for the McMurdo Group. 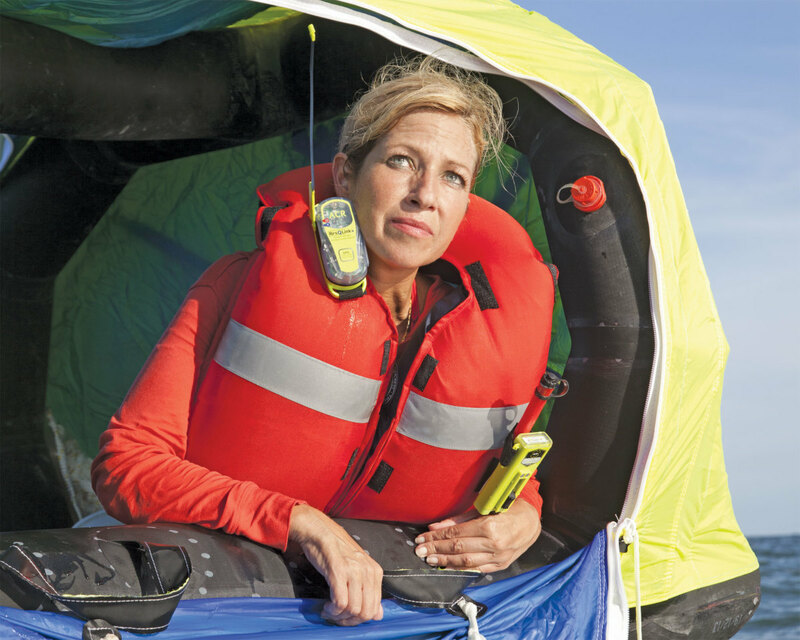 “When I started working it was all about the EPIRB. That changed quite a lot in the last few years. Focus has shifted to personal safety.” McCrystal credits a lot of this shift to stories such as that of Andrew Taylor and other mariners who have been plucked from the ocean thanks to their personal location devices. [advertisement]Satelllite messaging devices like the Globalstar Spot and DeLorme InReach send a GPS signal when they are activated, alerting rescuers to your location, but can also be used to let your family and friends know you’re OK. “The SPOT provides an alternate solution beyond the traditional legacy emergency alert devices,” says Erica Kelt, public relations specialist with SPOT. 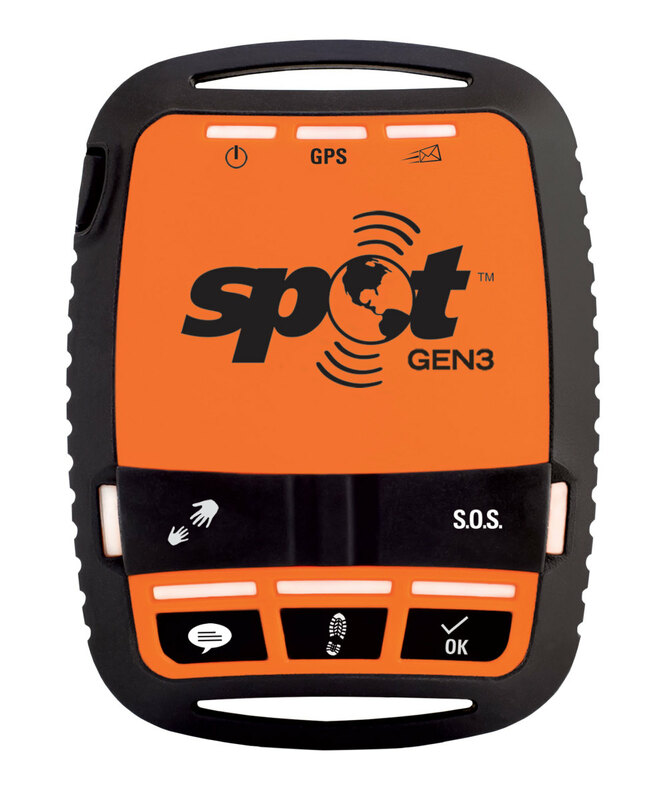 “It offers outdoor enthusiasts a mechanism to reach emergency responders if required, but also allows them to stay in touch with family and friends, track waypoints and send predetermined messages via email and text.” Importantly, SPOT offers an SOS function that will notify local authorities if you are in trouble when activated. While SPOT devices are one-way messaging systems that allow you to send pre-packaged messages, the DeLorme ups the ante by being a two-way system that allows you to not only send preplanned messages, but to communicate with friends, family, or a rescue team, using 160-character custom messages. “The big difference with having two-way emergency communication is the rescue station can let you know when your helicopter is coming, or if you just need a tow, where to send the boat,” says DeLorme’s Daniel McFetridge. Additionally, there is a software update for the inReach that will provide marine forecasts. The Cospas-Sarsat satellite system is the key to EPIRBs and PLBs; without it your signal would go nowhere. It is comprised of a series of low-altitude Earth orbit search and rescue satellites and geostationary Earth orbit search and rescue satellites (referred to a LEOSAR and GEOSAR respectively) that monitor 406MHz distress signals. This network provides complete but non-continuous coverage of the Earth. This is all about to change with the introduction of the MEOSAR—medium altitude Earth orbit—system. Cospas-Sarsat is currently upgrading its satellite system by placing search-and-rescue receivers (i.e., repeaters or transponders) on new GPS satellites operated by American, Russian (GLONASS) and European (GALILEO) navigation satellites that began launching into orbit in 2012. The additional satellites are going to beef up the ability of satellites to locate you like never before. 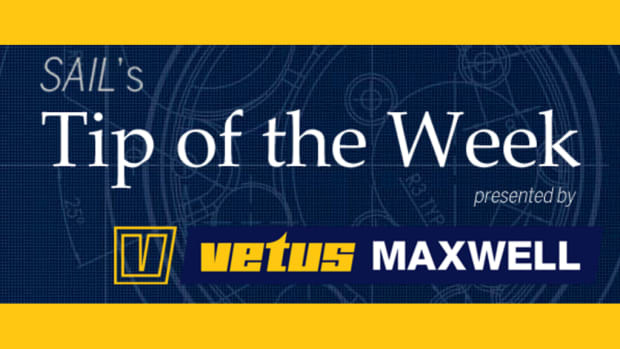 “What MEOSAR means to your average user is that, at the minute you press the button and depending on where you are and where the satellite is, it might take five minutes or it might take an hour,” McCrystal says. “With MEOSAR the satellites will be returning service, so the sattelites will be able to send a message back to your beacon to let you know help is on the way. There will be so many satellites in orbit that they will be able to cross-reference your signal so even if you don’t have GPS they will be able to find you.” It is going to be a game changer in the field of search and rescue. Also, there is a chance that in the near future carrying and registering an EPIRB or PLB might not just be a safe choice but a legal requirement. After Florida teens Austin Stephanos and Perry Cohen were declared lost at sea this past summer, the concept of boat safety and distress signaling was pushed into the public eye.  Austin’s parents have since started the Austin Blu Foundation, which is dedicated to raising awareness, providing education, making tools and technology available to boaters—all of which will help prevent near- shore and off-shore boating accidents in Florida. Recent legislation there provides incentives in the form of reduced insurance premiums to carry PLBs and EPIRBs. 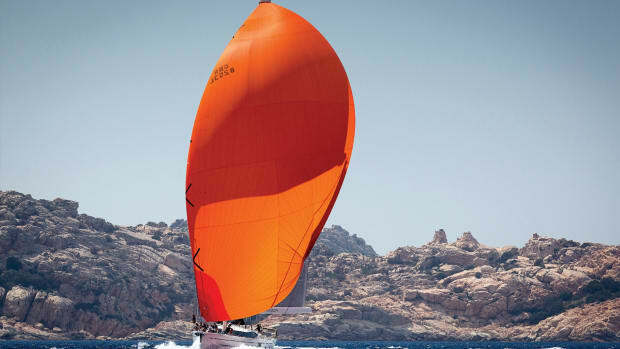 Like carrying flares, liferafts or PFDs, it doesn’t matter how far from shore you sail or the extent of your voyaging. 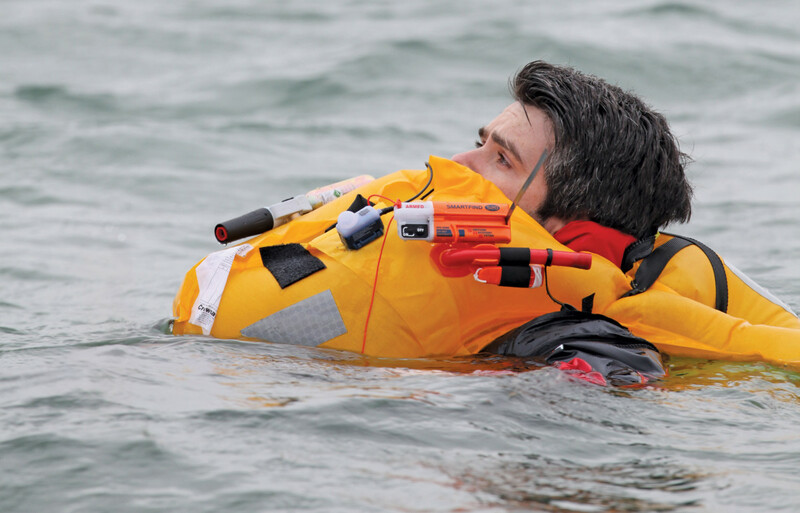 For the sake of you, your crew, your boat and those who come to rescue you, all sailors should carry a PLB, EPIRB, and AIS-MOB device or, better yet, a combination of those. Not all sailors need the latest and greatest devices, every sailor should carry something to help in a search and rescue situation. 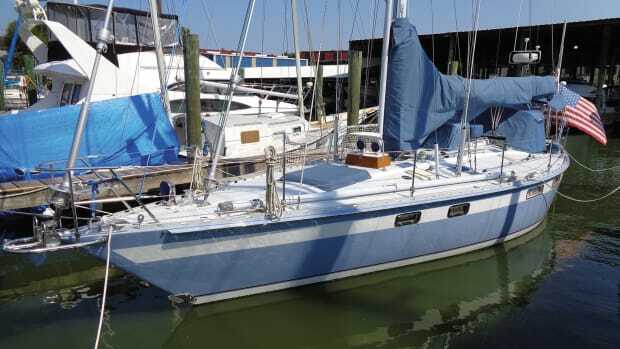 While it is not currently required by law to carry a distress signaling device, having a boat without one is like having a car without airbags. So look at your cruising habits, talk to an expert and find out which device is the one for you.